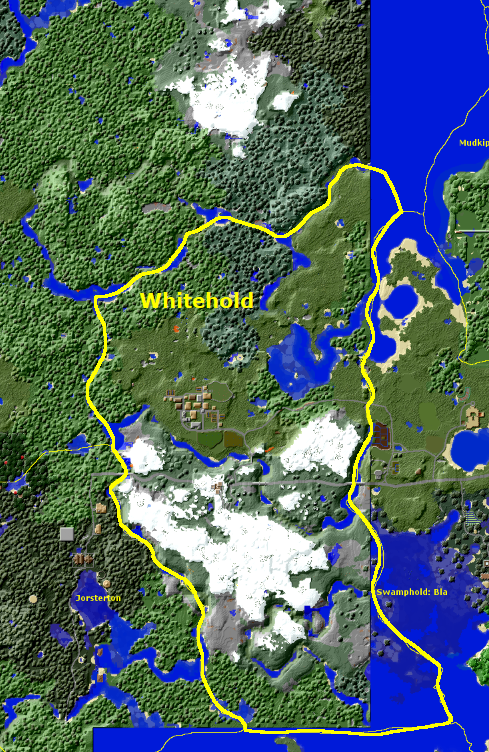 Much of this land used to be a part of Swamphold Swamp, but I would like this area to be a new region called Whitehold. It currently features a castle on top of a mountain (Whitehold), a horse road to Jorsterton and the village of Inevi. Future projects will be terraforming the areas next to the chunky borders in the northeast and south, where the oceans will probably be extended, expanding Inevi and other infrastructure.